When my cousin Polly came to visit earlier this summer, she brought with her an exciting gift. She had been walking the fields and byways of her Cambridge home, and discovered a walnut tree, dropping its fruit onto the public path. Patiently, and over several walks, she collected as many walnuts as she could, and brought this small collection for me to use for dyeing. 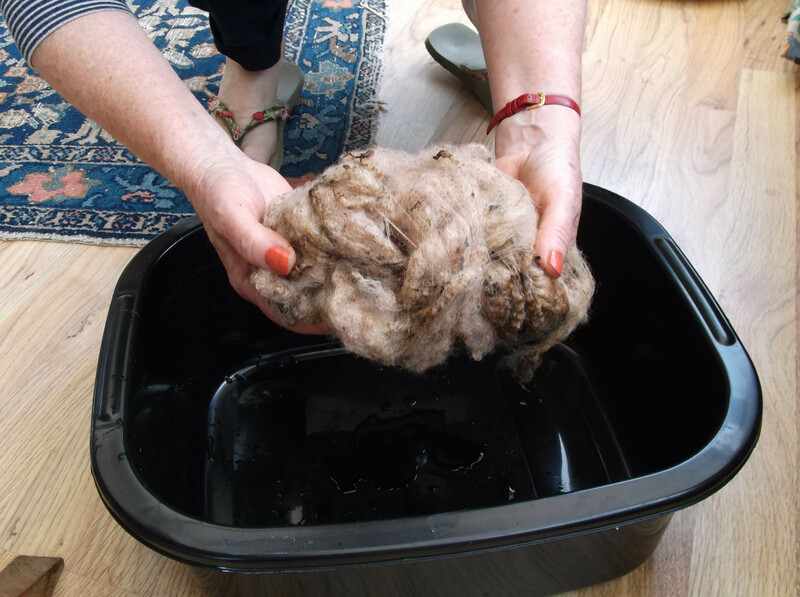 I’d used walnuts to dye fleece many years before – and with considerable success – which is why I was excited by her gift. 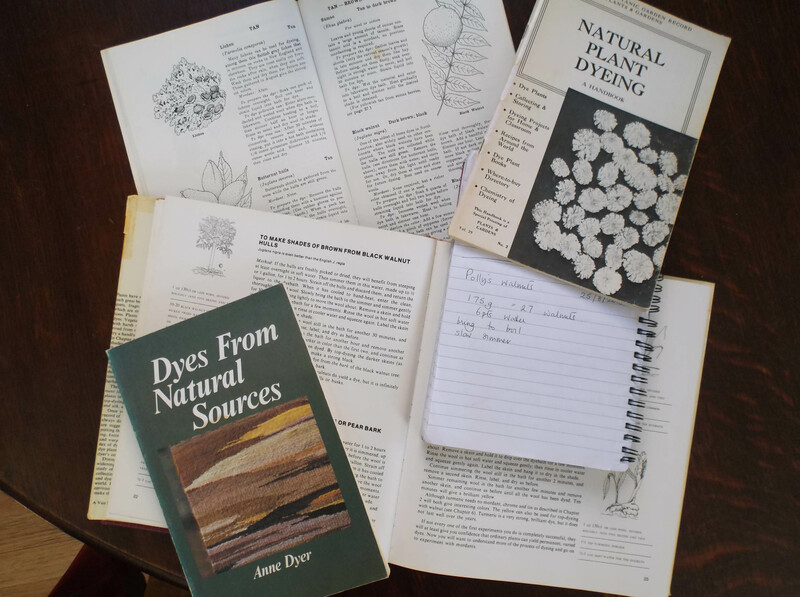 A cursory search didn’t produce any of my notes about my previous walnut dyepots, but I still had a good collection of books on natural dyeing to turn to for advice. The large book in the photograph is Seonaid Robertson’s Dyes from Plants, and I found her recipe clear and relevant so I followed that most closely. Polly had brought me 27 walnuts (weighing 175g). 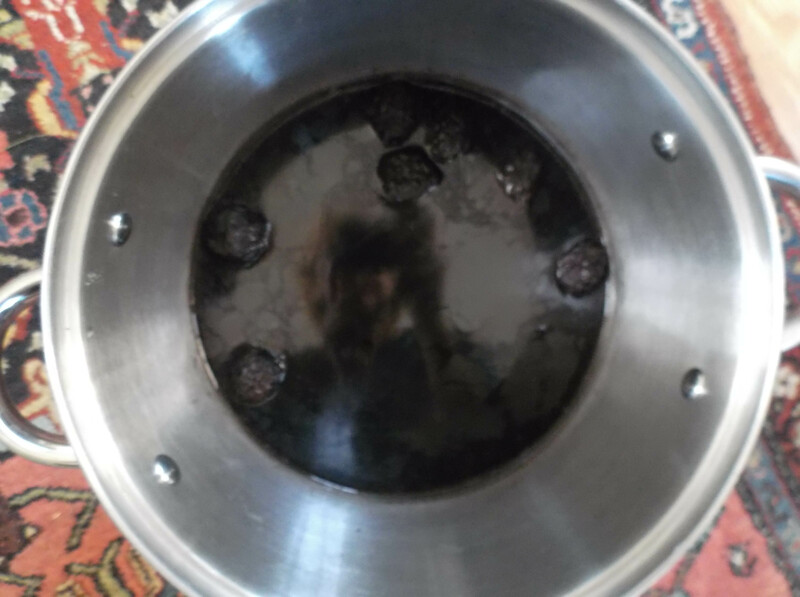 Most of them had their outer hulls still in place and these were nicely black and rotten. Looked very promising! I brought them to boil in 6 pts of water, and simmered them and then left them to steep for several days. 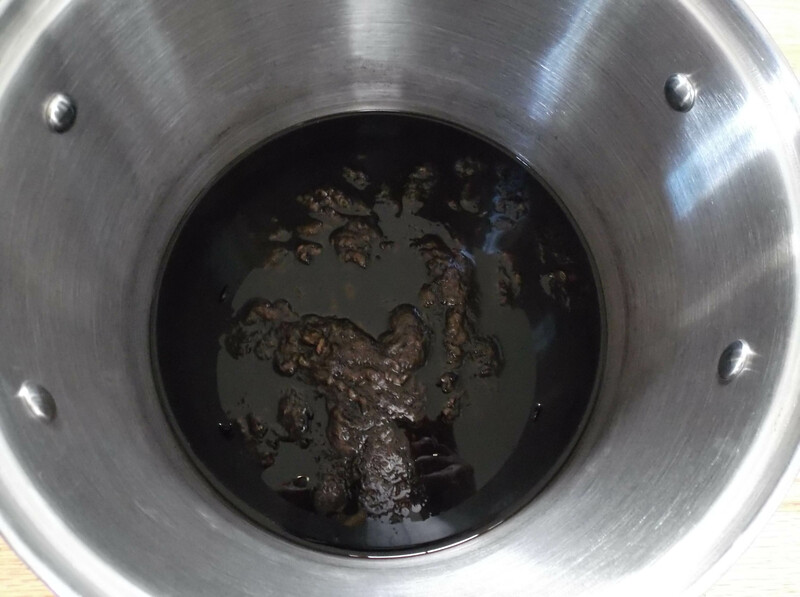 A wonderful witchy black and oily brew – looking even more promising! I added 100g of wet white fleece (BFL x Portland), brought it to a gentle boil and simmered and steeped for a couple of days. Wow – it looks promising! I finally decided I could put off the final dénouement no longer … time to see what sort of result I had got. Oh, crestfallen. That is all I can bring myself to say. Just so disappointing. The murky black liquid dripped away to reveal coffee-coloured fleece. It does smell lovely …. but worth it? 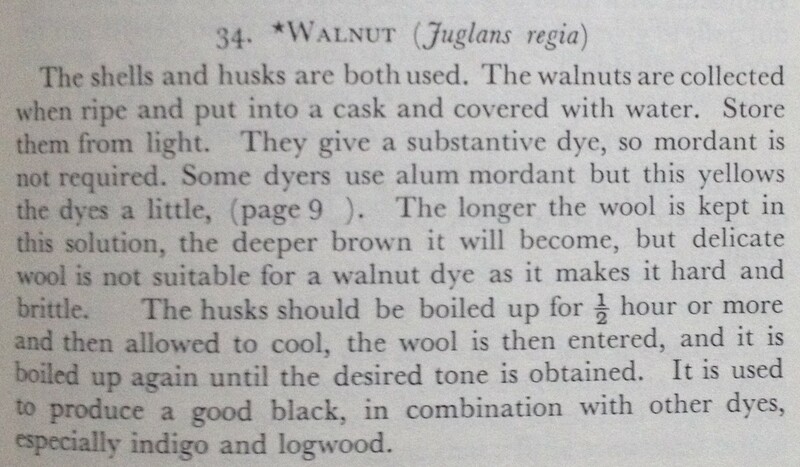 … hmmm … As I said above, I had dyed fleece with walnuts many, many years ago – and got a great result. This was the reason my expectations were so high before this recent experiment. I did a serious search for my old notes – and finally found them. My very brief notes were in a scrappy old knitting/spinning notebook, dated 1986. I was quite a new spinner. I was staying with my parents in Kent during the summer holidays with my two small children. A near neighbour of theirs had sheep – Cotswold sheep – and most generously offered me a fleece. I was too new to spinning to know much about different sheep breeds, but I readily accepted, and got straight to spinning – and dyeing. It was a beautiful, beautiful fleece, with long, lustrous, silky locks. As it happened my parents had a walnut tree in their garden. Every summer my mother would pick the walnuts when they were green and pickle them. However, this year, she generously gave them to me. According to my notes, I had 4 ¾ lbs of green walnuts. They were cut in half and covered in water. That’s the end of my notes!! 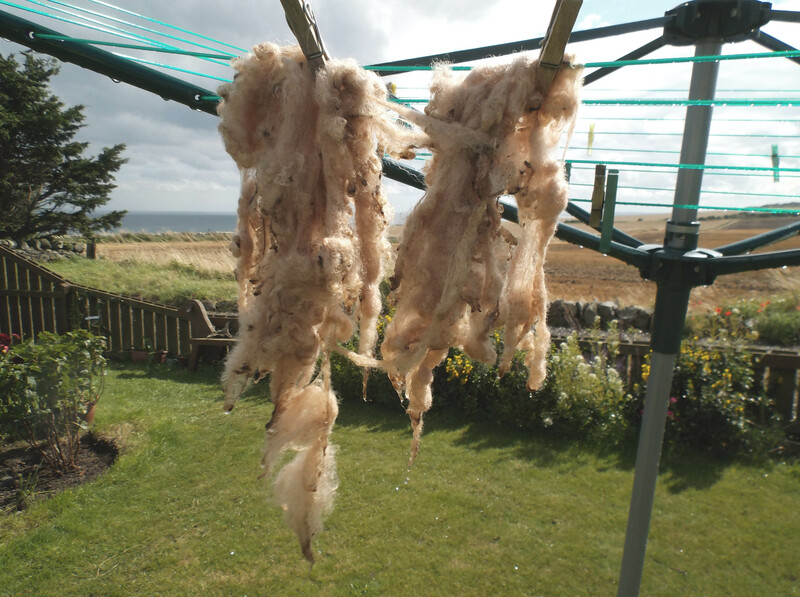 No record of how much fleece dyed, how long cooking took place…..perhaps my small children distracted me?! I just have memories of fantasticly rich dark brown fleece, fading to softer golds in later dyebaths. Actually Leonor – that’s not what my dye books said! I’ve added in the recipes to the end of my post so you (and others) can see the original texts. The Brooklyn Botanic Garden recipe expressly says mordants aren’t necessary (and that is such a respectable and well-researched sourcebook). I am sure the problem is that the walnuts recently were far too ripe – I think my mother used to pick them from the tree when they were quite tender. I did get great results in 1986! 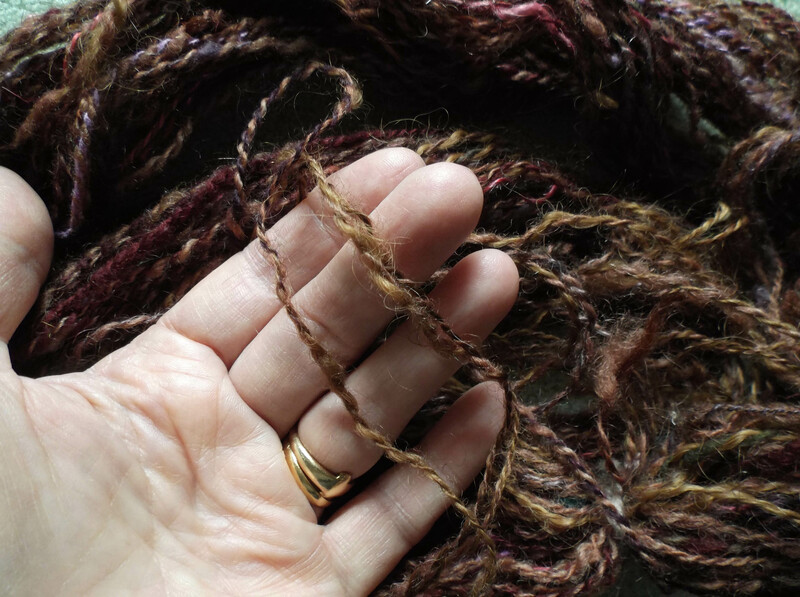 What a fascinating post that links your early dye and spinning craft with the present through pictures, notes and the garment. It really shows how the craft work is so thoroughly enmeshed in everyday life , memory and intimate relationships. After all this time you can still provenance the animals! The rich brown and the russets are spectacular together. No wonder you wanted to recreate that colour. I had to laugh at the beige… You know how well i know beige! My understanding of walnut is that it is a substantive dye but fastness is increased with a mordant. You have got me looking for a walnut tree now! I thought of you when I got beige!! You’re right – the provenance is important to this story, isn’t it – and what makes it somehow more poignant. The locality is really key. You’ll see that I’ve added in the recipes I consulted (mordants aren’t considered essential with walnut dyeing) – so that, when you find your walnuts (!) you’ll know what to do! Excellent, thank you. 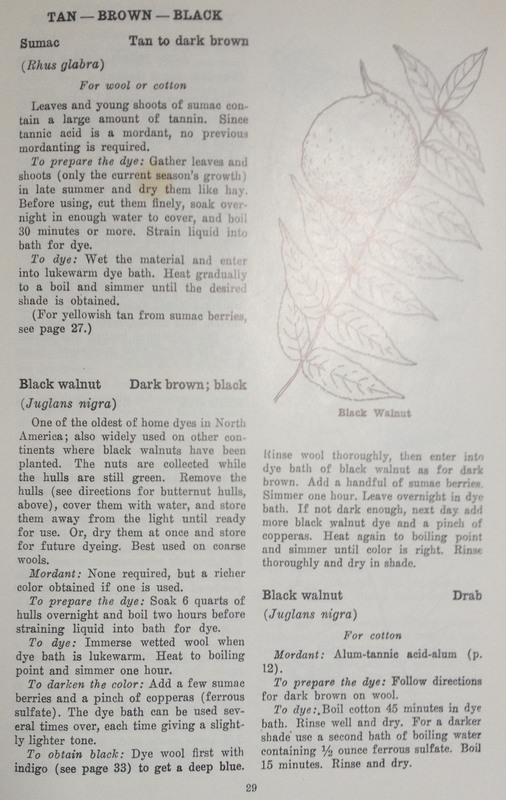 I do like the colour description for Black Walnut on cotton, it says ‘drab’. 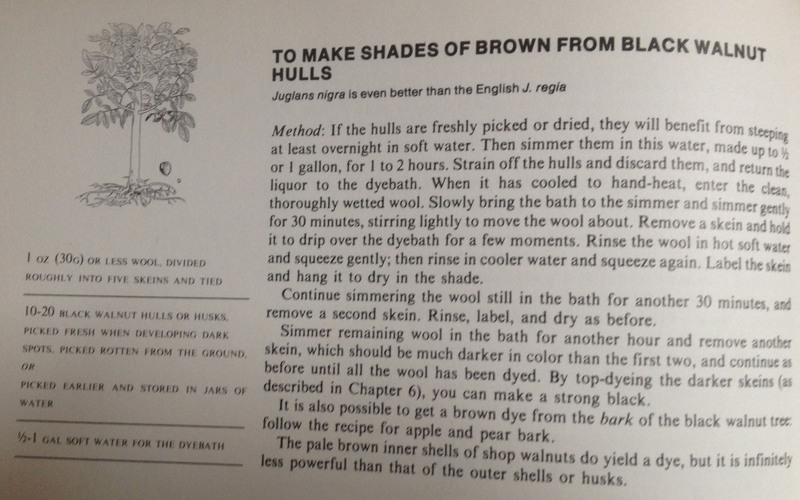 I had always thought drab was a description of dreary but it is apparently also a colour…light brown. How funny, a colour called drab. It might be the new beige. I’m so sorry my walnuts didn’t work better! Not sure even how I could get them younger, as the tree is so tall they have to fall off. Did your mother climb the tree?? 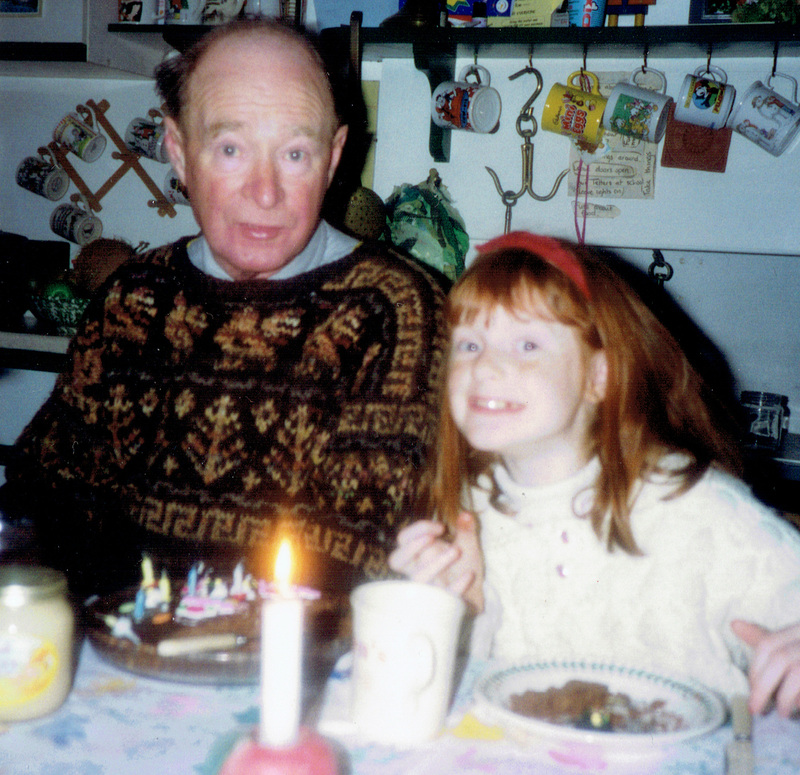 How special to see your father in that jumper, and what an interweaving of past and present in this story. 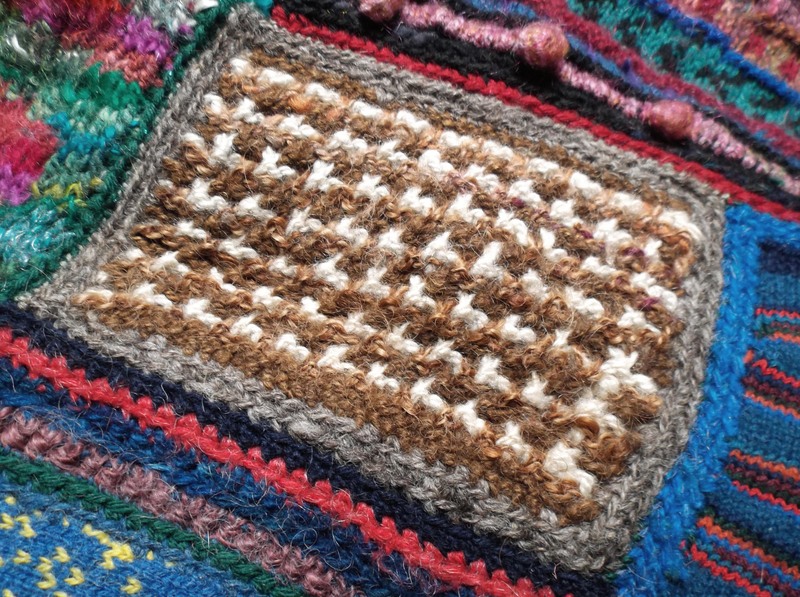 It was a happy experiment, Polly – took me on byways that I hadn’t expected! I think I have vague memories now of my father getting a ladder out and picking the walnuts when they were far from ripe – not something one could do with a walnut tree that wasn’t on your land! How interesting, even if you didn’t get the desired results. I’d love to have a go at dyeing yarn it have no space in my tiny flat for a new hobby. For now I can live the hobby through reading about other people’s endeavours. 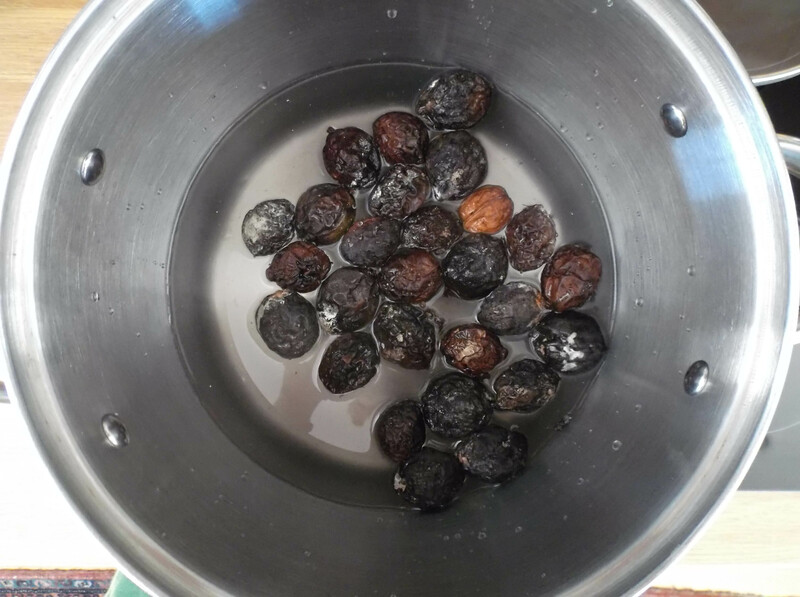 Yes, dyeing does take up space – but walnut dyeing is particularly safe (no chemicals) – it’s just like cooking up ordinary food stuffs – and that makes it much easier to do in an ordinary kitchen. You’ve just got to get the walnuts – at the right time! Just found this as I have been in Germany for 20 days and had 570 email when I came back, am sure I will find more of yours! I LOVE LOVE the picture of your Dad in that sweater. It is gorgeous and my kind of colours! Just super. thanks. Hope you had a great time in Germany, Susan – I’ve missed your friendly comments! Thank you for your kind comments on the pic of my dad – it’s really special to remember him in this way. 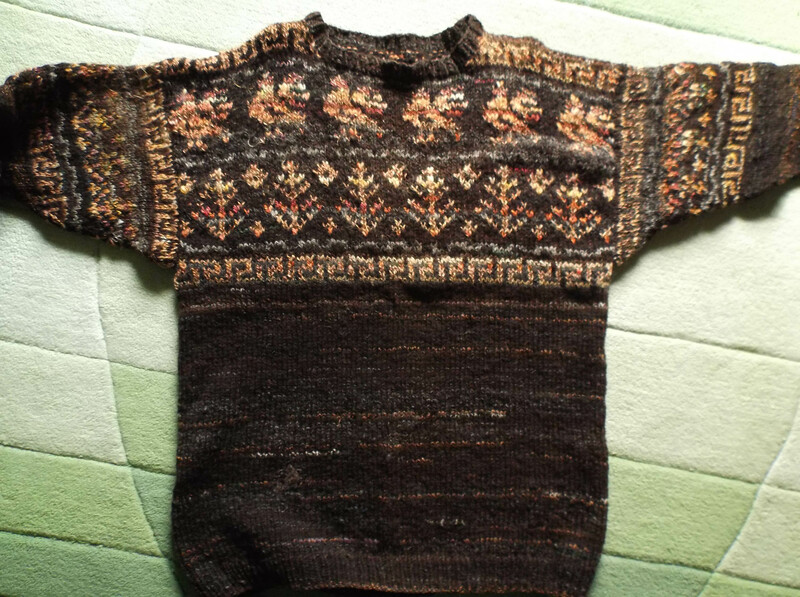 And I think it may have been one of the best knits and spins I ever did. I love the colours in that sweater. Now is the time to collect the walnuts – I simmered the green husks for an hour and then left them in the solution for a couple of weeks before scooping out the hulls and mould. How interesting to have some guidance from another walnut dyer – I thought I left my dyepot sitting around for at least a week, but obviously that’s not long enough. It never got mouldy! Hello there. I am not a dyer or a knitter but my mother used to spin for a while and kept some coloured sheep to use their fleeces. I just made an attempt at pickling walnuts for the first time. In New Zealand, green walnuts are on the trees in early-mid summer, at Christmas. On Boxing day I visited my uncle’s farm and picked green walnuts from the avenue of large walnut trees lining the driveway. The 2 week brining stage I followed draws a nice smelling and powerfully staining juice from the green nuts. 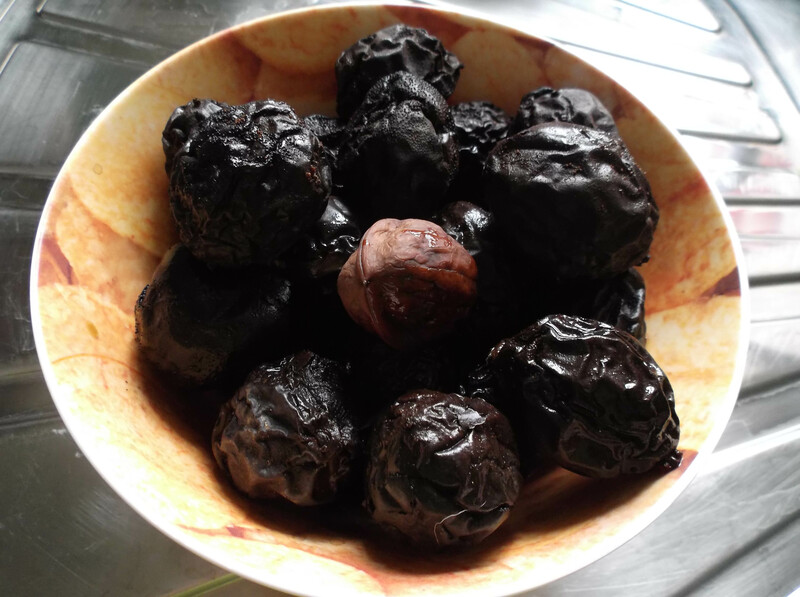 They turn black after they have been dried, after which they’re ready for the pickling. The recipe recommends storing for 4 months before eating, so too soon to claim success yet. As I tried to clean the brewing bucket I had used during brining, I wondered what use green walnuts might have for dyeing. This was very interesting to read, as was the whole post – thanks. An interesting lesson on what comes of trying to use the ripe nuts too. Wow! an avenue of walnut trees, you say – you are so lucky!! As I said in the blog, my parents had only one walnut tree, and those walnuts were reserved for my mum’s pickled walnuts. Admittedly, her pickled walnuts were excellent – and I hope yours turn out to be just as delicious. But, if you’ve got as many walnuts as that at your disposal, you can do all sorts of exciting stuff. I think the consensus of opinion is that although you can dye with plain old green walnuts, you get a much better dye (richer and darker) if you use a mordant. Anyhow, you’ve got enough walnuts to experiment. Thanks for your comment, so glad you enjoyed the post, and I’d really love to hear how you get on if you do try some dyeing.